Although Rebel companies gained letter names early in the war when they stopped being militia units and became part of a regiment, many still carried their old militia flags. Hence this silk one of the Burt Rifles, Company K, of the 18th Mississippi, presented to them by “the ladies of Jackson” before they went to war in 1861. Most of the Rifles were from Hinds County, which includes Jackson, the state capital. Erasamus Burt, the pre-war State Auditor, was their original captain. He was later elected colonel of the regiment. 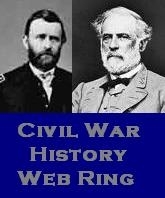 He was killed at Leesburg. The 18th’s sharpshooters drove in the Yankee pickets the night before the dawn attack on Fort Sanders. Via Mississippians In The Confederate Army. This entry was posted in Civil War accoutrements, Eighteenth Mississippi, Fort Sanders and tagged 18th Mississippi Infantry Regiment, Burt Rifles, Knoxville 1863. Bookmark the permalink. 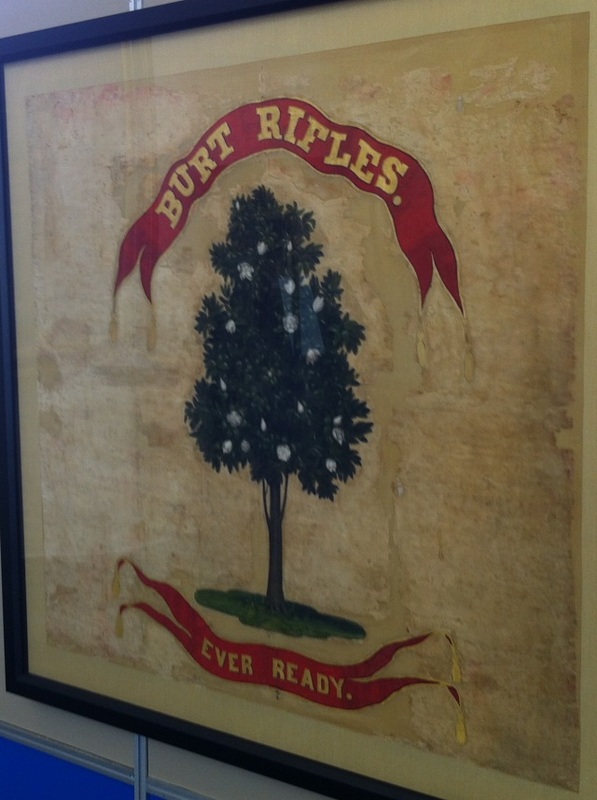 My great-great grandfather Rollie Wood was in Burt Rifles. He survived the war. I am curious as to where the Burt Rifle flag is currently displayed. Thanks for the comment, Chip. According to the blog “Mississippians In The Confederate Army,” the flag was displayed until this month at the old capitol building in Jackson, MS, where the Department of Archives & History is located. Use Google to find their main number and call to check whether the display is still up (if you live nearby), or whatever other information they might have. They might sell cards or posters with the flag on them.